Thought leadership can be one of the most valuable and effective ways to build a loyal following on social media. 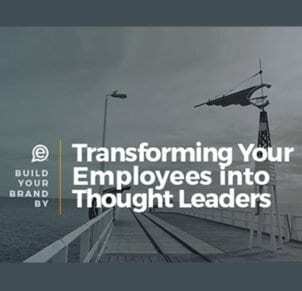 When a business allows its employees to become thought leaders, it’s recognizing employees have valuable insights and perspectives to add to the conversation that social media audiences – including prospective and current customers – are interested in seeing. But thought leadership isn’t solely about disseminating original content. Not only is it unrealistic for thought leaders to keep up with writing for social media on top of all of their other job responsibilities, but the most effective thought leaders recognize they aren’t the only ones with something interesting to say. And that’s why it’s so important for thought leaders to share quality content from others in addition to company content. Yet, before we dive into how to build thought leadership by sharing third-party content, let’s clearly define the term and why it matters. (Feel free to skip ahead though). I’m sure we have all have heard the term “thought leadership” or “thought leader” before and you may view it has a corporate buzz term. However, thought leadership has become more of a common interest and access to thought leaders is easier through social media platforms. Surely, if you are familiar with the term it might be somewhat cringe-worthy as people do abuse the use of the term. However, those who practice it and are actively trying to be a credible source of information are valuable to online communities. For someone to be a “thought leader,” they will be the informed opinion leaders and the go-to people in their given field of expertise. They are the trusted sources of information who provide their own insight and provide a unique perspective to present and future ideas. Essentially, thought leaders are seen as trustworthy, go-to authorities among industry colleagues and peers. Generally, this might be C-Suite level employees or business owners, but that has shifted with social media and gives anyone a chance to showcase their knowledge. Of course thought leadership status can’t be achieved through a single article, social media post or networking event. It can take time to build your credibility, knowledge, and experience to be seen as a leader. Also, don’t be that person who adds “Thought Leader” to their LinkedIn profile bio. As you consider developing your own status as a thought leader or building your own thought leadership strategy, it’s important to keep in mind how valuable third-party resources are to the online conversations. Audiences on social media get their content from a variety of sources, and they judge this content not by who wrote it, but by how interesting it is to them. When you acknowledge your audience doesn’t live in a marketing department filled with talking points and social media analytics, you’ll realize that your content doesn’t need to be so carefully crafted, controlled and that it’s effective and strategic to meet your audience in the real world. 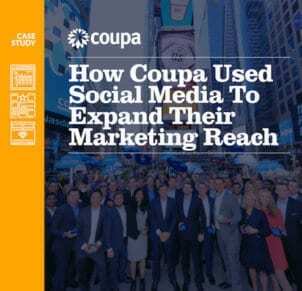 Social media is such a vast, dynamic space that no social media team, regardless of how large or sophisticated, can possibly maximize its effectiveness by pumping out original content all the time. Rather, your social media team’s time is most effectively used by spending part of the day monitoring content written by others and evaluating which content pieces to share. EveryoneSocial’s industry-leading social media sharing platform can be a tremendous help to your social media team when it comes to out-of-company content because it allows your team to curate both internal and external content for sharing company-wide. This helps to build up employees in different areas as thought leaders, while also helping them build up their own personal brand within their respective industries. Getting employees from different areas of the company involved is vital to your thought leadership efforts. What you want to do is convey to your audience why a particular piece of content matters to them and how it’s relevant to the type of content you want to become known for. When you do this, you’re differentiating yourself from all of the other folks that share the same content; this is what builds thought leadership. As you weigh which content pieces to share with your audience, remember that if you’re having trouble articulating the relevance of a particular piece to your business, it’s almost certainly going to go right over your (distracted) audience’s head. You want to choose content that clearly relates to the kind of information and perspectives your business is known for (or wants to be known for). When you share out-of-company content, you want to be aware of how your followers receive it and engage with it. 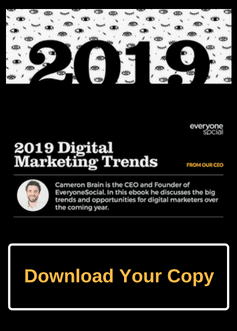 Over time, you’ll notice patterns and trends in what most resonates with your audience, and be able to adapt your content sharing strategy accordingly. Your brand will become stronger if you can deliver a predictable, consistent mix of content – and that includes the outside content you share. A good rule of thumb might be to maintain a 75/25 split: 75% of all social media content should be content from outside your company, and 25% should be company-created content. No one wants to suffer the public embarrassment of being accused of plagiarism or deceptive sharing practices. You should always make sure content you share is clearly identified as such, and you should avoid sharing more than a snippet of it. Before you share anything, you must thoroughly read it. This might sound obvious, but keep in mind how easy it is to accidentally hit “Share” before truly verifying that a piece of outside content is accurate, comes from a trustworthy site, and doesn’t contain any out-of-date or inappropriate information. Whether or not you want your audience to be exposed to your competitors, the odds are they will be exposed. So, rather than carefully avoid all mention of your competition on social media, a better strategy is to embrace your similarities and occasionally share competitor content. You not only stand a chance of penetrating your competition’s audience, but your competitors also may respond in-kind by sharing your content with their audience. 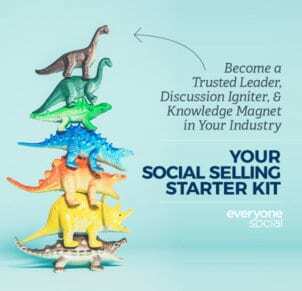 Sharing outside content may sound counterintuitive and counterproductive at first, but when done correctly it’s a key component to building thought leadership and audience trust on social media. The keys to success are to recognize the value of external content, know how to share it for maximum impact, always credit appropriate parties, and verify its accuracy and timeliness. Additionally, you want to be clear as to what your area of knowledge and expertise will be. If you start getting too random and all over, it’s more difficult for your audience to connect or understand your value. Your stance and interests need to be clear and consistent. 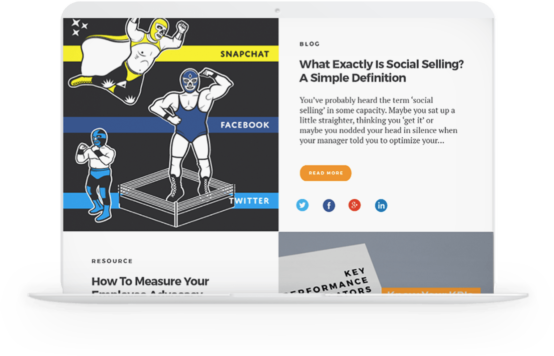 Hopefully, the above nine tips with third-party content were helpful and that you are well on your way to being seen as a thought leader to your audience. 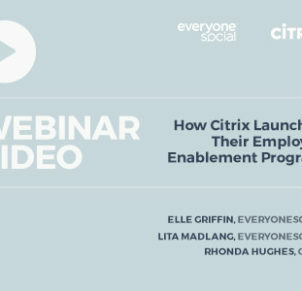 Have you considered harnessing the power of your greatest resource—your employees—to accelerate your social media strategy? Learn how to help transform employees into thought leaders.